“In presenting the latest edition of our market report I would like to say that everything is on the mend and Spain’s problems are behind it. Unfortunately this is not so, Spain still has some way to go towards recovery, but in Marbella at least we are now experiencing a significant revival in the vitally important real estate sector. Tourism has been strong since 2011 and the very top end of the property market shows robustness, but last year we also saw strong growth in the mid to higher segments that has continued to gather pace in 2013. 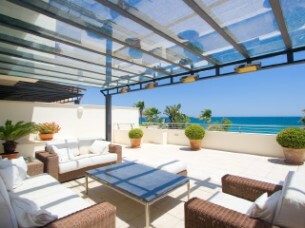 It points to a sustained groundswell of demand amid attractive prices and the enduring appeal of Marbella. The infuriating thing about this recession – besides the recession itself, of course – is the fact that its ups and downs have so far charted like the heart rate of a patient with ventricular fibrillation. In other words: erratically. Just when we thought we were on the early slopes of recovery and the worst was behind us, new uncertainties set in within the euro zone, plunging tentatively recuperating countries back into recession. What we’re referring to here is essentially the ‘euro crisis’, which caused such uncertainty and anxiety during large parts of 2011 and 2012. Looking back at our market reports of 2010 and 2011, we believe we were on the whole reasonably sensible with our analyses and forecasts. The famous crystal ball eludes us, as it does everyone, but certainly quality real estate in particular and the luxury market in general, have shown good resilience in recent years. What we said in our previous market reports is still applicable, only more so, namely that while the overall economic and real estate prognosis for Spain points to a recovery that is many years hence, the micro-economy of Marbella is already responding to a gradual reawakening of demand for its intrinsic location and lifestyle – as expressed through tourist visits and property sales. Marbella has a certain competitive advantage, and as a result many property agents have been reporting a slow but gradual recovery with small yet telling year-on-year gains. This slow rise in property sales in the Marbella area is the most direct indicator of the health of the local real estate sector, but other telltale signs are important too. We thought we had reached the lowest point in 2011, but the intervening euro crisis of that year delayed the first signs of recovery that showed themselves in 2012. The rate of progress has therefore been slow, agonisingly so for some, but steady. Is this a bad thing? Perhaps not. After all, the slower the growth the more solid are its foundations, so while some may speak of a ‘lost year’ in the process of recovery we can also say that, despite yet another macro-scale financial scare, Marbella continued on a steady course. 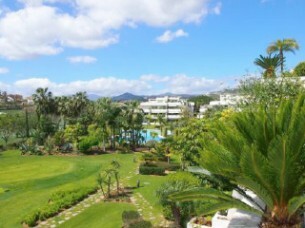 Among the most desirable Marbella properties and locations there no longer is a sense of falling values, and while those opportunistic buyers that harboured unrealistic expectations have largely given up their attempts at discount shopping, agents are also reporting a greater willingness among sellers to likewise drop unrealistic aspirations and comply with actual market values. The result is a narrowing gap between prices offered and offers made, and this greater correlation between supply and demand should in itself facilitate transactions and shorten sales cycles. Demand for the mid to high-end real estate represented by Marbella has therefore reached a point where it begins to stabilise the market and provide the conditions for future growth. So what about the other indicators and related factors? The first thing that strikes you when comparing the beginning of 2013 with that of 2012 is the absence of a sense of foreboding. The Sword of Damocles that hung above our heads in the form of unsettling uncertainty about the future of the euro had a negative effect on economic growth and investment, thus feeding the already gluttonous beast of recession – but it has lifted. In the second half of last year the ECB quietly regained control of the situation, and now we find ourselves in calmer waters. The breakthrough may well have come from the greater balance of power exerted within the EU by François Hollande and Mario Draghi, who managed to persuade Germany to overcome some of its worst fears about the printing of money and pave the way for greater stability within the euro zone through the increased powers of institutions such as the ECB, the European Financial Stabilisation Mechanism and the impending banking union. A safety net providing loans underwritten by the EU, the EFSM is designed to support not just smaller EU members in financial difficulty but larger ones too. Using its AAA rating, the EFSM draws on the strength of its healthier members to obtain financing at the kind of manageable interest rates countries such as Spain, Portugal, Greece, Italy and Ireland simply couldn’t obtain. A further step has been the announcement that the ECB would buy up ‘unlimited’ quantities of sovereign bonds from its financially beleaguered members, one step short of the quantitative easing (money printing) some experts are predicting in spite of vehement German opposition to the idea. Germany, however, will continue to insist upon the need for economic restructuring and the cutting of public sector deficits, but the above steps have helped to stabilise the euro to the point where it was recently rising in value relative to other currencies, and it has maintained its position even in the face of the latest crisis in Cyprus, where EU finance ministers chose to take a particularly tough stance. For British buyers of real estate in Marbella it means a temporarily weak pound against the euro, but sooner or later these things even out and at any rate can be offset against attractive property prices and exchange rates offered by specialist FX companies. Perhaps more important on a macro-scale is the greater stability within a euro zone that is by no means out of the woods yet, as shown by the Cyprus scare, but now finds itself more strongly underpinned. The banking union, which will place the banks under central ECB control, is the latest in the measures designed to have this effect. The result is that Spain can borrow at more reasonable interest rates, derives a greater sense of security from the EFSM and that its banks have been strengthened by a process of recapitalisation and the incorporation of weaker banks into the more solid ones. Though the Spanish banking sector is still fragile, it does count some of the healthiest international banks among its members, notably Banco Santander but also BBVA and Banco Sabadell. More challenges lie ahead, and interest rates have risen in response to the higher repayment rates of the banks themselves, but fears of financial instability have at least abated, providing the confidence for new investment and money flows. Villa in Nagueles, perfect for family living, set in a prestigious urbanization in Marbella. 5 bed. / 4 bath. The question ‘are the banks ready to lend?’ depends mostly on what the loan would be for. It remains very hard to step into a bank and ask for a 70 or 80% mortgage as before, but apart from up to 110% financing on their own bank-held stock, the country’s financial institutions are also beginning to provide mortgages of up to 85% on specially negotiated developments. The selection process is far more rigorous than before and the terms and conditions may not always be as attractive, but at least the mechanism is beginning to work again – albeit only in areas with proven market appeal. In this self-selecting market Marbella ranks highly since developers, agents and investors can refer to actual and indeed increasing demand and sales when negotiating loan agreements. The relative stability of the banks has, as expected, resulted not in a sudden flood of bank-repossessed properties but in a steady flow of properties and projects within their portfolio. In this mass segment prices have continued to drop, bringing them ever closer to the point where they will begin to garner serious interest. Having mentioned that financing is beginning to make a reappearance it is also important to say that, on balance, the market continues to favour those with independent financial means. In essence it is still a buyers’ market, with choice, negotiating power and to a diminishing extent, time still on the side of the homebuyer and/or investor. As long as the property and location are attractive and the price is sensible there is certainly demand, this in contrast with the overall picture at the beginning of the recession. At DM Properties both 2011 and 2012 were surprisingly strong, driven by continued demand for the finer quality properties in the better and most consolidated locations and for those properties perceived as a good opportunity. Although a lot of deals fell through because buyer and seller couldn’t agree on price, there was a feeling that buyers were beginning to realise that the tide may be slowly turning and that if they were really interested in a property, the offer should be sensible enough to open a negotiation with the seller. Just recently we have also begun to see a sense of urgency when people really like a property, and there has even been some competition between prospective buyers for those properties whose quality and location make them hard to substitute. In this regard there is even some shortage of prime real estate in top seaside positions, where properties sold are not easily replaced by new ones coming on to the market. This sentiment is also expressed in the latest global market survey of Luxury Portfolio, which reports on signs of strength in many luxury markets around the world. Naturally Russian and Chinese buyers feature prominently in this, but South Americans are also increasingly noticeable, and while the initial focus is on places such as New York, Paris and London, they soon widen their perspectives to include other cities, ski and coastal resort destinations too. Other trends remarked upon are a tendency towards smaller, less showy properties in which quality, security and convenience are priorities. 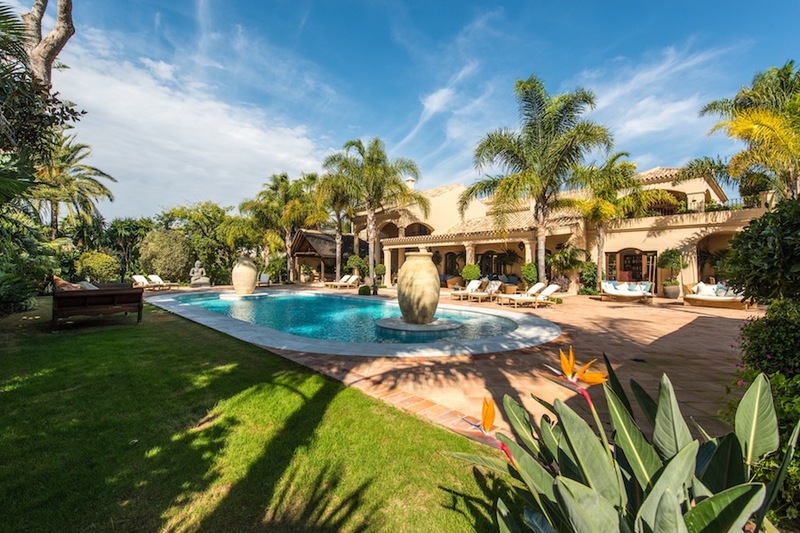 None of this is bad news for Marbella, and indeed, British buyers have already begun to return, though by no means in the numbers seen during the credit-fuelled boom. The Dutch market has been pretty consistent, while the German market remains surprisingly weak, but over the past two years demand from Belgian and French buyers has risen significantly and is complemented by high-end enquiries from the Middle East. It is, however, the Scandinavian buyers that dominate the mid to high-end of the market, with wealthy Russians continuing their love affair with the upper segments of Marbella’s luxury market. The latter prefer La Zagaleta for its space, privacy and security, not to mention its exclusivity and status appeal, but also look for villas in Sierra Blanca area, Nueva Andalucía, Guadalmina and Los Monteros, and luxurious penthouses with sea views. 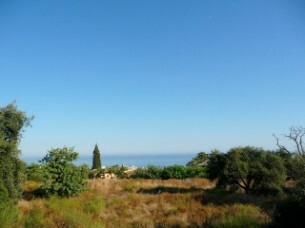 Scandinavians, like many other Northern Europeans, opt for luxury apartments and villas in areas such as Elviria, Nueva Andalucía, La Quinta and along the Ronda Road. Middle Eastern buyers like apartments around Puerto Banus. Classic zones such as the Golden Mile, Sierra Blanca, Los Monteros and Guadalmina, now largely consolidated, continue to appeal in general terms, as luxury buyers come back in and shun the newer, less developed areas for the time being. We have also seen growing interest from some local owners of large villas in the outskirts who want to downsize or move closer to town and services. They look for apartment complexes or urbanizations that offer security and services on site. Services are certainly improving and staff is well qualified and professional. What can you get for your money in 2013? At DM Properties our portfolio starts at around 200,000€. Between 200,000 to 300,000€ will buy you a 2-bedroom apartment in a well located complex in Marbella’s Golden Mile, or something a little bigger just outside this area. For a 3-bedroom apartment or townhouse you‘ll be starting at around 250,000€ in areas such as Nueva Andalucia, La Quinta, San Pedro/Guadalmina and into the municipality of Estepona. Detached villas in the lower to mid end of the market start at around 500,00€ to about 1,2 million, and then you start to hit the upper end of the market. Entry price level for the so-called important properties will vary depending on the area and quality. As a general indication we can say that in the Marbella area 370,000€ for a 2 bedroom penthouse and 1,5 million euros for a villa should buy something very nice to say the least. These prices are relative to the size of the apartment or villa, and in the case of the latter it depends mainly on the size of the land. We may have a luxury apartment with 2 bedrooms, 2 bathrooms, garage, large terraces and top class facilities in one of the new upmarket developments at 700,000 euros or a wellsized contemporary luxury villa in a new golf development for just over 1 million euros. It may be interesting to note that luxury apartments and penthouses in first class developments are by comparison more expensive than some luxury villas. Our company recently sold a penthouse in an upmarket, beachfront development in a prime location for 3,7 million euros which would be comparable to an 800 square meter villa on a 2000 square meter plot in one the most sought-after locations such as Sierra Blanca. In general terms there are no new insights as regards location, because the age-old preference for top locations remains as strong as ever, be this prime beachfront, frontline golf or further inland commanding spectacular views. A new trend that is highly discernible is the increasing preference for ‘modern’ homes, in the sense of properties featuring modern technology, build quality and amenities, but also modern styling. Compared with the 1990s and much of the 2000s, therefore, the trend is clearly away from contemporary rustic to modern. This has been translated into a new architectural language that delights architects and produces sleek, whitewashed villas full of glass, chrome and squeakily tight interiors, pools and cabana bars. Naturally they offer the latest in ‘must-haves’ such as glass bodegas, minimalist kitchens, gyms, indoor spas and entertainment areas, though the home cinema is making something of a retreat and some of the exterior styling is reminiscent of the avant-garde villas built here in the 1960s. The result is a slow, gradual transformation of Marbella and updating of her housing stock. A trend that brings all of this together is the growing market for renovated villas, itself the product of the limited land and lack of available plots in the best residential zones and locations. Where older and outdated properties are actually worth the value of the prime land they stand on, it makes good sense to replace the home with something newer, sleeker and highly saleable. The result has been a thriving – and growing – sector dedicated especially to the sourcing of suitable spots and transformation of the existing properties into modern luxury villas built to the latest standards. If such properties tap into the zeitgeist and are also the result of limited land in the most desirable locations, they are still part of the high-value, low-scale villa construction that has continued more or less uninterrupted since the start of the recession. Larger scale development is dependent on two things: a sufficient swell of demand within the middle segment and the availability of development land at reasonable rates. You might think that savvy, cash-rich investors would be snapping up whole tracts ready for the moment larger-scale demand returns, but on the whole those who hold the land are in no hurry to sell cheap and are, in fact, doing the land banking themselves. Here and there sections have become available, though, and together with much-reduced construction costs are enabling small-scale developers to build modern medium-sized luxury villas and in so doing plug a gaping hole in Marbella’s housing market. They assure us that this is merely an interlude, as once sufficient demand returns for larger development to take place again the laws of bean-countery, if not lowest common denominator marketing, will push the choice of property type straight, back to the outer poles of apartment complexes and large villas¹. As if to underline the above, the cranes which for so long stood silent have slowly begun to move again. At least, the first ones are, as Taylor Wimpey and others begin to run out of stock completed before or during the financial crisis. These early signs of a resumption of construction activity, albeit on a smallish scale, are the most sincere and impartial indication of what we have been saying all along – namely that Marbella represents a ‘product’ with intrinsic desirability for which there is resilient demand. This demand has remained more or less constant in the top end of the market and is already beginning to revive further down the price segments, so thanks to greater financial stability and regardless of a contracting Spanish national economy this part of the country looks like it will be among the first to show the green shoots of growth and begin the recognisable upward path to full recovery. In an increasingly global luxury real estate market Marbella is increasingly well connected, with the new runway and airport terminal not only serving more visitors and destinations from established sources but also providing new direct links with the likes of Moscow and New York. Pretty soon we’ll be seeing similar route extensions to South America and Asia, an ease of accessibility that will open up new and largely unexplored markets. They will find a beautiful, green², well-facilitated and safe area full of glamour, professional services and international linkages to which high-speed rail links and international college faculties can only add further value. The international market is more important than ever in the luxury real estate sector. It is an importance that DM Properties has always recognised and therefore maintains an active presence in leading international networks such as Christie’s International Real Estate, European Real Estate Network, Luxury Portfolio and now, by invitation, also Dom3. The latter is a Spanish collective of companies specialising in luxury real estate that acts to promote the efficacy and competitiveness of its members and the sustainability of the sector in general – and as a result contribute to enhance the value of the Marbella’s trademark as a quality destination– for it is only by measuring ourselves against the most efficient, professional and effective in the international market that we can truly succeed. The end of 2012 also saw the end of a range of measures designed to stimulate property sales in Spain. Stimuli such as reduced IVA on properties bought within the designated period certainly didn’t do sales any harm, but it seems they were always supporting elements ranking well behind main considerations such as price, financing and overall financial stability. While last year’s particular stimulus package is now no longer valid, it has been replaced with new measures designed to have the same effect whilst costing the government less in lost revenue. The granting of residency to non-EU citizens buying properties of €500.000 or over is a clear example of this, while investors will need to invest €2.000.000 or more and pass medical insurance and criminal record checks. In addition to a huge amount of interest from countries such as Russia and non-EU parts of Eastern Europe, the measure could also make Spain appealing to buyers from China and others looking for a European pied-à-terre. At first glance the new law requiring older properties to undergo an energy efficiency rating, which has to be recorded as part of the background information when such a property is offered for sale or rent over 4 months, could be seen as costly and contrary to the interests of the real estate sector. However, more than ever homebuyers are demanding high build standards and energy efficiency, so not only does the new measure bring Spain in line with other European countries, but good ratings can also be used as a selling point that gives individual homes an added edge. While Spanish tax-related stimuli are, at least for now, a thing of the past, increasing taxes in other countries can also affect the local property market in positive ways. As in the case of France, where Mr. Hollande’s latest tax rises have produced an exodus of money and a concomitant rise in interest in Marbella real estate among French buyers and investors. If other countries feel the need to follow the same route, ours is among the places that will benefit directly from it. On a more local level, the PGOU appears to be operating well and achieving what it was designed to do, namely create a clear and stable blueprint for planning and development in the region. Combined with other local improvements, such as the new airport, which is opening Marbella up to new markets, the tunnel by-pass of San Pedro and a series of new parks over the by-bass, it has had a positive effect that overshadows the uncertainty about the Qatari-led Al-Thani port in Marbella. For now at least, much of the impetus has shifted from the eastside of Marbella’s waterfront to Guadalmina, Benahavís, Nueva Alcántara and other surrounding areas of San Pedro, which might just be one of the next growth spots in the region. Source: Professional Association of Property Registrars of Spain. 1. Basically, as soon as new development gathers sufficient momentum to become mainstream again, it is expected that the number crunchers will once again come to dominate the offer of new-built real estate and streamline it back down to apartments and large villas – the two property types that offer the greatest returns within the theoretical vacuum of a spreadsheet. This mass converging of supply that focuses on the largest market segment or most profitable product type is known as lowest common denominator marketing and not always successful, because it has a tendency to lead to oversupply. 2. 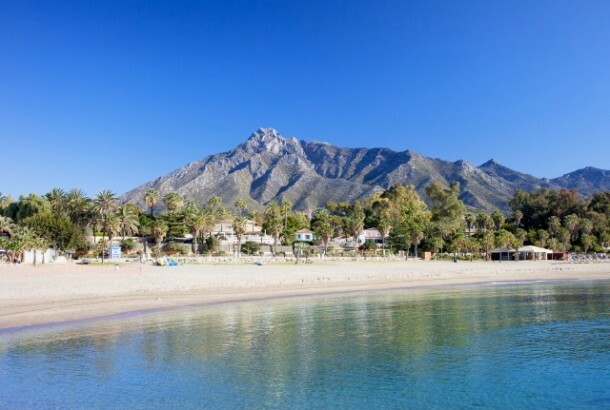 A recent study conducted by the European Environmental Agency has shown that Marbella is the ‘greenest’ town in Spain and second greenest in all of Europe, with just 22,5% of its area covered in asphalt and other forms of construction. Author: Michel Cruz, Writer and Editor. With the contribution of Diana Morales – Founder DM Properties, Pia Arrieta – Chairman DM Properties, Roberto Quintana, Carlos Padilla, Gerardo Caballero, Filo Rioja, Liliana Martinez, Sveta Mazhehava and Maria del Mar Poza.